Instagram has finally been optimised for users on the iPhone XS Max and iPhone XR. The Facebook-owned company had brought an optimised Instagram app for the new display sizes of the iPhone XS Max and iPhone XR back in October last year. However, the optimisation was broken with an update pushed last month. The updated Instagram app comes with version 76.0. 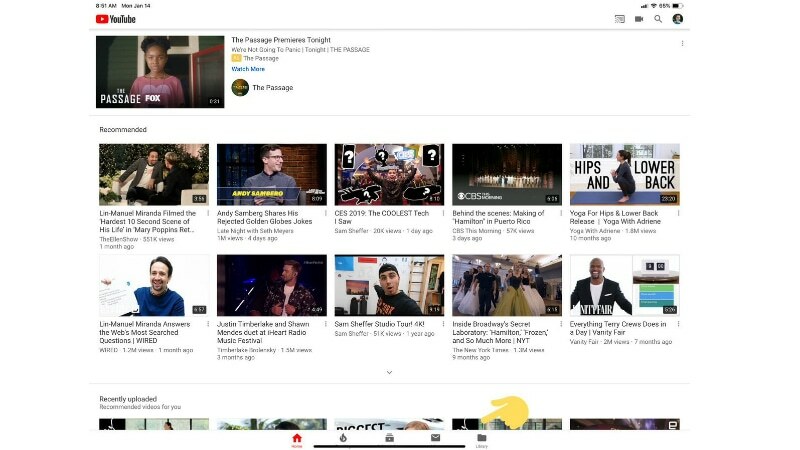 Google also separately released an updated YouTube app that brings support for iPad Pro (2018) models that don't carry a home button. Unlike the iPhone XS that has a screen size identical to the iPhone X, the iPhone XS Max and iPhone XR feature larger panels. This demands content-side optimisations. As 9to5Mac reports, Instagram brought support for the iPhone XS Max and iPhone XR back in October last year, but that optimisation broke with the last-month update. Developer Guilherme Rambo reported that the Instagram team switched back to an older version of Xcode to support a large number of devices running iOS 9. However, that development made last month's Instagram update unoptimised for the iPhone XS Max and iPhone XR users. The previous update scaled on the UI and images on the larger display panels of the newer models over what was available on the iPhone XS and previous models. That being said, Instagram has now fixed the issues with the new display resolutions. You can experience the change by downloading the updated Instagram app on your iPhone XS Max or iPhone XR directly from the App Store. As a compensation for the fresh optimisation, the updated Instagram app doesn't support hardware running iOS 9 and requires iOS 10 or later versions. In addition to the updated Instagram app with optimisation for the iPhone XS Max and iPhone XR, the YouTube app has received an update to support the iPad Pro (2018) models. As spotted by Ryan Christoffel of MacStories, the updated YouTube app now shows the large display panels of the iPad Pro (2018) models. There is bottom bar to host the Home indicator - just below the traditional YouTube tabs. However, unlike its presence on the iPhone X and other newer iPhone models, the Home indicator on the iPad Pro (2018) partially covers the tabs available on the updated YouTube app. The titles of the Trending, Subscriptions, and Inbox tabs are essentially being hidden by the Home indicator. It is safe to expect that the YouTube team will push another update specifically for the iPad Pro users in the coming days to fix the Home indicator issue. Meanwhile, you can download the latest YouTube app (version 14.01) directly from the App Store. The app requires iOS 10 or later and is 242.8MB in size.